Why choose a Dovre Gas stove? 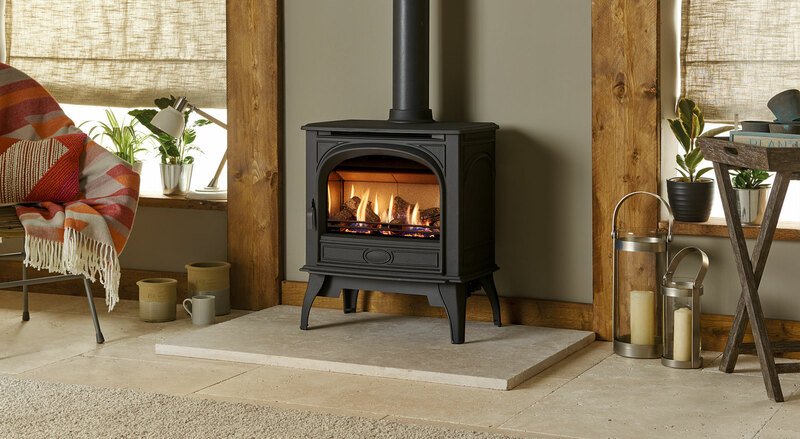 Constructed with the highest quality materials and featuring our advanced gas fire technology, Dovre gas stoves provide stunning flames and instant heat at the touch of a button. 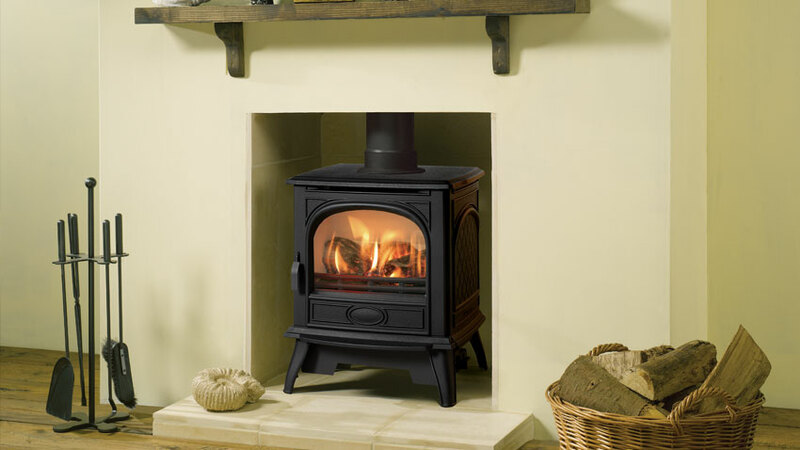 Home Blog Why choose a Dovre Gas stove? With 60 years spent crafting stoves, it is only natural that we turned our attention to providing some of the best gas stoves available. Like our wood burning and multi-fuel stoves, the cast iron we use for our gas stoves is created from high grade raw materials in our foundry. Designed to ensure strength and longevity, and possessing excellent thermal qualities, you can be sure your Dovre gas stove will look and feel every bit as solid and robust as our log burners. Thanks to its versatile nature, cast iron can be crafted into a huge variety of shapes and textures, bringing beauty and presence to your interior. Each of our gas stoves features elegant cast detailing. 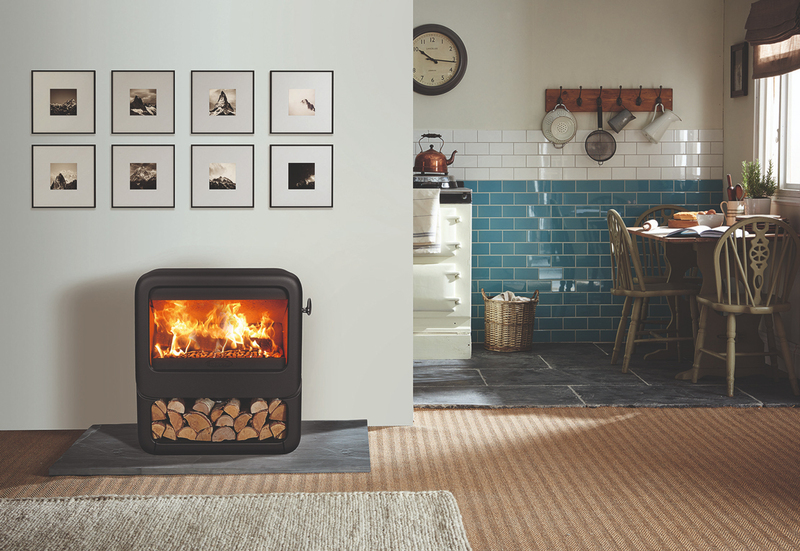 You may be surprised to learn that Dovre gas stoves can be installed with or without a chimney, thanks to the versatile options on offer. 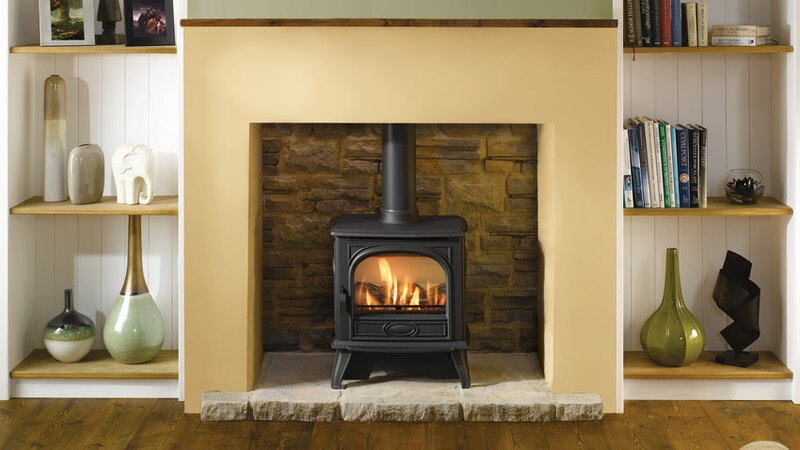 If your home has a fireplace that you would like to add a gas stove to, our conventional flue models can be installed with your existing chimney. However, if you would like to install a Dovre gas stove in a room without a chimney, our balance flue versions allow just that. These stoves do not require a chimney and instead are installed with a twin wall pipe going to the outside of the property. This pipe draws in combustion air whilst removing combustion gases. Whilst the external parts of a Dovre stove are the result of decades of expertise gained in stove craftsmanship, the internals are the result of our innovative research and development. 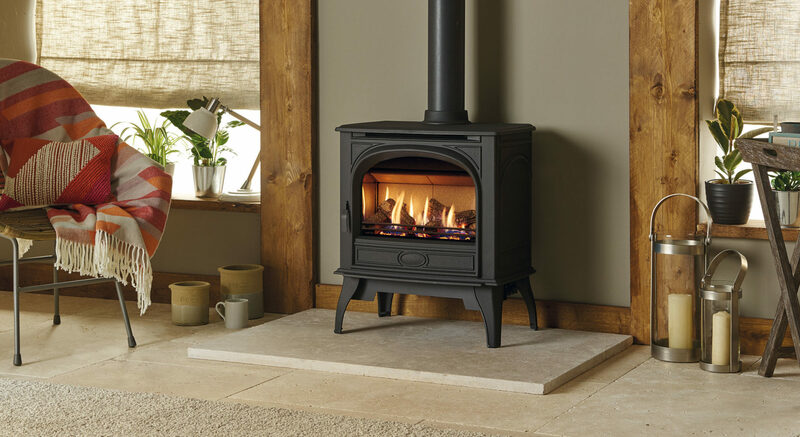 Our gas stoves provide an efficient source of heat reaching levels of up to 95.4% thermal efficiency, leaving you in no doubt your stove will provide you with a practical heat source. 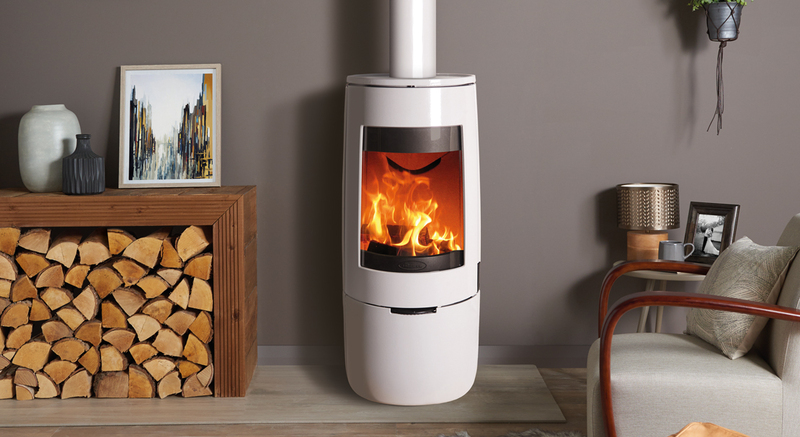 Dovre gas stoves feature a hand painted log effect for the utmost realism. A glowing ember bed completes the effect and looks just like real log burning fire. Tall flames flow and dance between the logs providing mesmerising visuals – at the touch of a button! 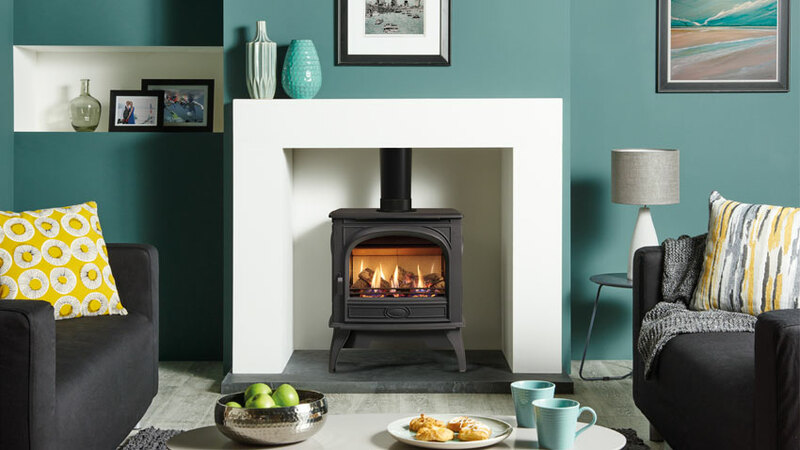 You may be surprised to know that you don’t even need to connected to the gas grid to be able to enjoy a Dovre Gas Stove. Both our 280 and 425 are available in Natural Gas and LPG versions, meaning there is almost no reason why you cannot choose one for you home! Why choose a gas fired stove for your home?